At VCS Floor Care, we’re committed to maintaining the ground you walk on. 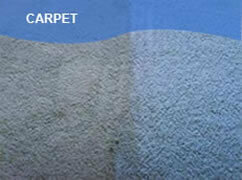 We have been a leader in hard floor strip and sealing, floor care and cleaning services in Melbourne for over a decade. We’re proud to have built a reputation for excellence in this industry, and strive to be the best provider of high quality maintenance not just in Victoria, but interstate too. The company was founded by specialist David Prout in 2003. David had the foresight to recognxise that there was a gap in the industry. He began specialising solely in hard floors, and his initial jobs were in stripping and sealing supermarkets. There soon became a demand for his services within other sectors of the cleaning industry. Other strip and seal works followed including industrial complexes, schools, medical centres, retail department stores and shopping centres. From these humble beginnings, VCS has grown to be a preferred specialist floor cleaning contractor with facilities management companies, body corporate, and cleaning companies across both the metropolitan and regional areas of Victoria, New South Wales and South Australia. At VCS we’re constantly striving for excellence, with quality always in mind - we don’t believe in completing dodgy, second-rate work. We are constantly looking for ways to improve our services and are continually monitoring the latest advances to ensure that we maintain our place at the forefront of our industry. So if you need floor care and cleaning services in Melbourne, Sydney or Adelaide - contact us on 0405 511 285, or complete the online form now to obtain your free measure and quote. It’s that easy. What are you waiting for? Experience superior surfaces today! We have used David Prout as a subcontractor for over 5 years and have found him to be a trustworthy and diligent worker. We have never had to question his honesty or reliability in the work he has performed for us.